KIEV, Ukraine -- Common sense suggests that expertise helps us to achieve a better understanding of situations. But that is not always true. 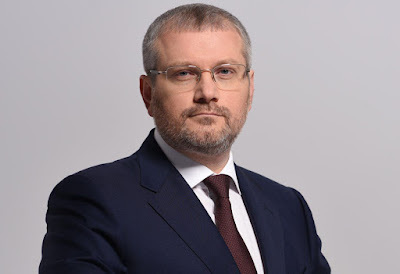 EU politicians need to have a more inclusive dialogue with politicians from both sides of the house in Ukraine, if they are to shape a better strategy for relations with Ukraine, writes Aleksandr Vilkul (pictured above). He is the co-chairman of the Opposition Block political party in the parliament of Ukraine. Sometimes the bigger picture is better seen from a distance. I have recently had the opportunity to discuss how this applies to the way European politicians view major developments in Ukraine. At the beginning of May I visited the European Parliament in Brussels to discuss the state of EU-Ukraine relations and the challenges our country faces. One of the surprising conclusions I came to after these most useful discussions with MEPs is that sometimes those who follow developments in Ukraine from a distance have a more balanced and realistic view than the “experts”. True, it happens that those European politicians who have for years been involved in close co-operation with certain Ukrainian parties and particular personalities find themselves, at the end of the day, in the position of die-hard supporters of those political forces and not objective friends of Ukraine. But Ukraine cannot be simplistically analysed in monochrome tones, the forces of “black” and the forces of “white”; it is more complex and subtle than that. Some respected MEPs have invested so much time, enthusiasm and political capital in the endorsement of certain Ukrainian partners that they find it too difficult to acknowledge disappointment, and accept that trust may have been misplaced. Similar miscalculations in 2005-2010 after the Orange revolution resulted in Ukraine fatigue in the EU. The current malfunctioning of the Ukrainian state burdened by instability, rabble rousing populism, endemic corruption and political scandals could end up with a similar outcome. It is not unusual for “connoisseurs of Ukraine” in the EU to simplify the political landscape by analysing it as a black and white division of political parties, those which are pro-European, and those which are pro-Russian. However the reality on the ground cannot be analysed in such a simplistic fashion. The EU-Ukraine Association Agreement was successfully negotiated and initialled by March 2012 when the allegedly pro-EU parties were in opposition and at that time they even involved their allies in the European Parliament to attempt to derail the treaty. The EU granted the visa-liberalization Action Plan to Ukraine in December 2010 and its basic requirements were substantially met well before the Maidan demonstrations when they began in November 2013. But in 2017, already 3 years after the dramatic formation of a government in Kiev by proudly pro-EU politicians, Transparency International now ranks Ukraine 131st in the world league of levels of corruption. This is well below most developing nations. The same political parties who 7-10 years ago managed to join Pan-European political Groups now regularly align with far right movements in Ukraine promoting bigotry, intolerance and discrimination. This suggests that the real European integration process has little to do with declarations, and the hoisting of EU flags on government office buildings. When honourable European politicians stand uncritically by those who are widely perceived by so many Ukrainians as inept, corrupt and promoting divisive policies, it effectively undermines popular trust not only in those misguided politicians, but also in Europe itself. Corporate solidarity with members of political families should not be at the expense of defending European values. A more balanced and inclusive approach is needed for an EU-Ukraine dialogue to cleanse it of misconceptions and illusions. Only consistent, objective contact with Ukrainian politicians across the political spectrum representing both sides of the house, and encouraging all of them to search for issues uniting rather than alienating different parts of Ukrainian society, will be helpful in securing a democracy that respects the role of the opposition in politics, and ensuring that the checks and balances that opposition brings will result in a stronger government. Today my country is in need of those interested in peace and reconciliation to stick together. The European Union can foster that process by sending a clear signal that it needs a peaceful, reliable and self-sustainable neighbour, to be an asset for Europe and not a liability. The famous formula of Sir Winston Churchill “there are no eternal friends, no eternal enemies, just interests” could become a guide to shaping the dialogue between the European and Ukrainian political elites, and securing peace and prosperity in our shared European continent.